Keya Seth’s Liquid Aromatic Jewel Sindoor is chemical & mercury free and is 100% Natural. It is enriched with herbal color, extract of flower & minerals. This sindur is made of harmless natural ingredients and is non-allergic, doesn't increase hair fall. 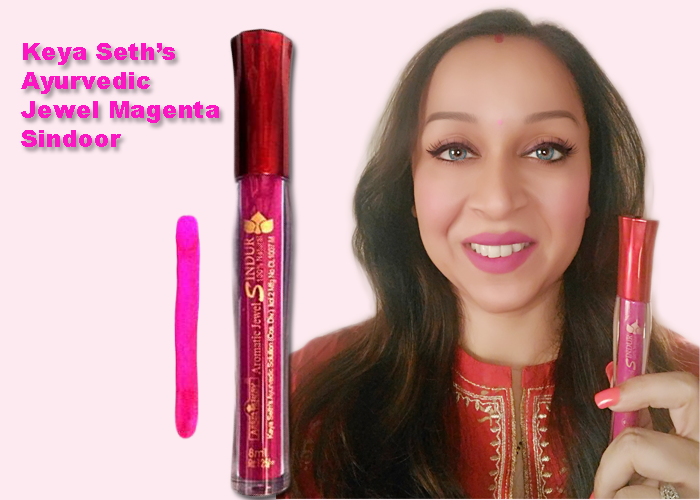 I purchased Keya Seth's Aromatic Jewel Sindoor in Magenta Colour (Price Rs 125/-) It is a 100% Ayurvedic liquid Sindoor and is waterproof. 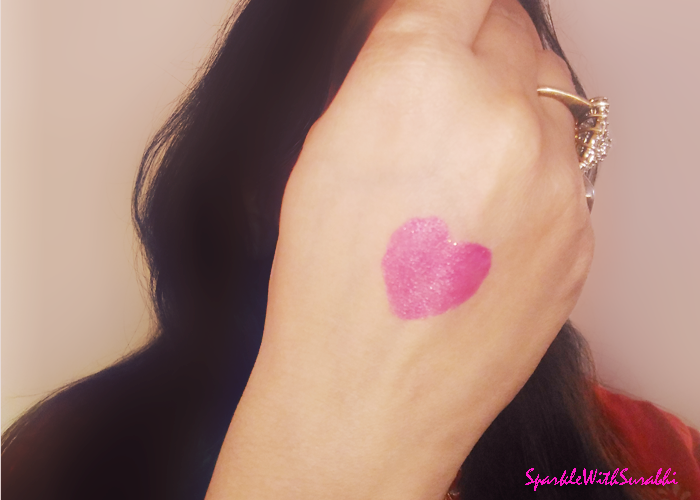 It does not spread like the sindoor dust. 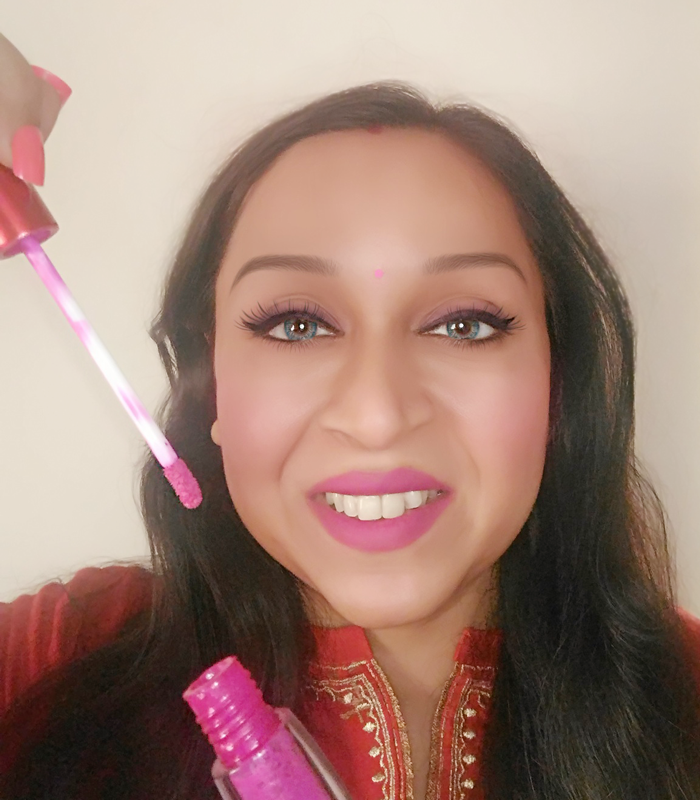 This liquid sindoor is packed in a bottle that resembles a liquid lipstick container and also has a similar applicator like them. 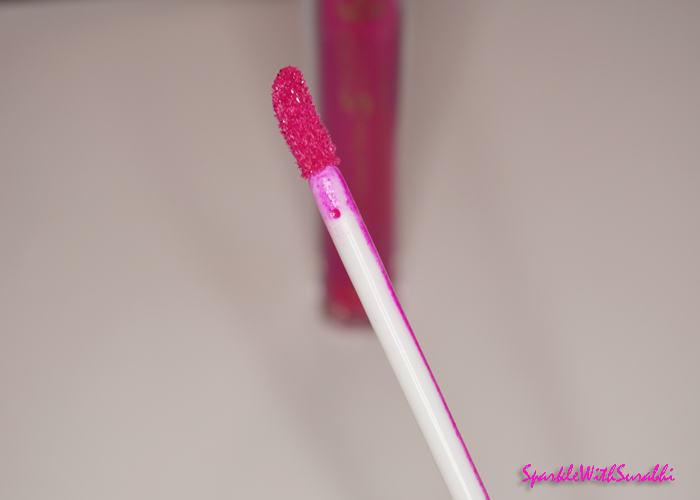 It is very easy to use and the liquid sindoor also has mini glitter sparkles!! The colour is very unique, bright magenta. It compliments medium to fair complexions. 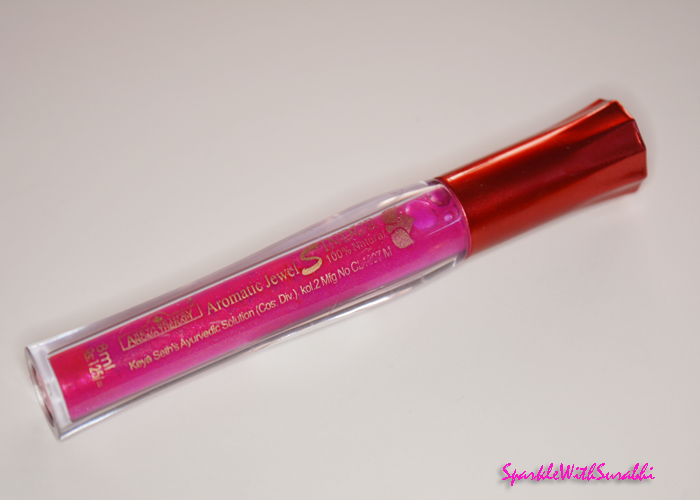 I applied this on karvachauth and it lasted all day just a like a long stay liquid lipstick. 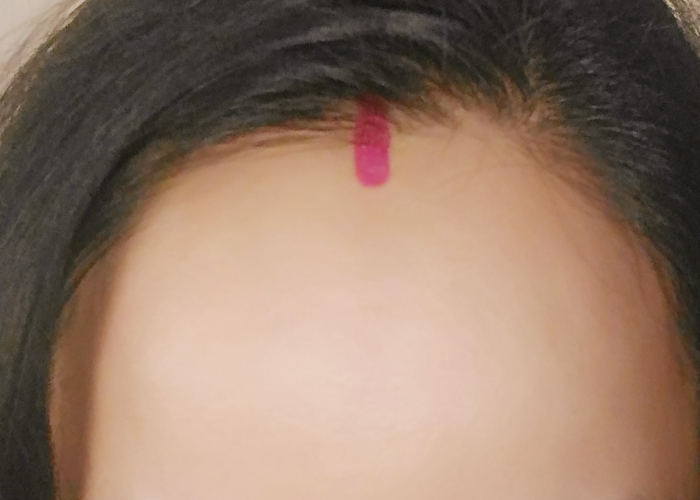 This sindoor added a lot of charm to my outfit of the day. Highly recommended to newly weds!! 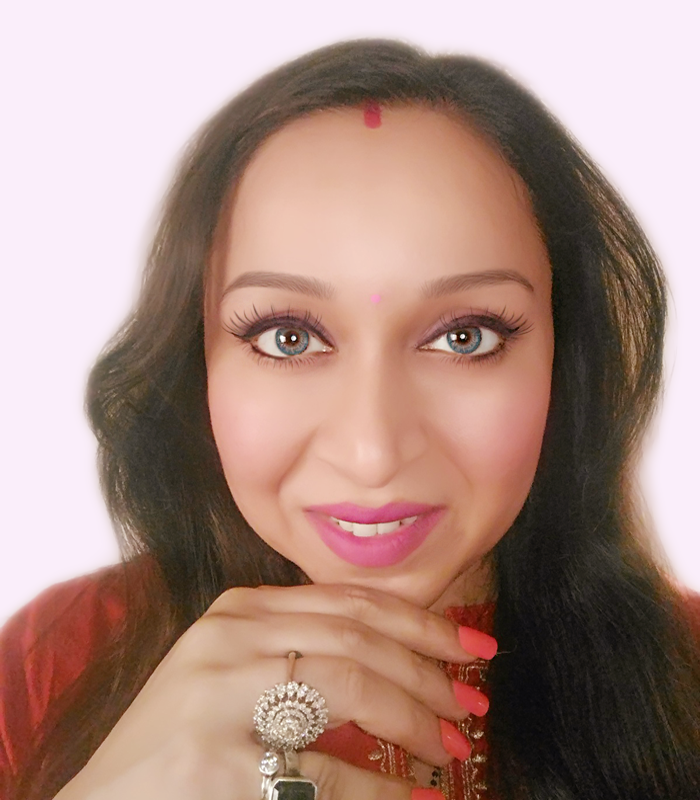 Keya Seth is a Aromatherapist brought up in Kolkata educated herself from different premier Institutions of India and abroad in the field of Aromatherapy, Ayurveda, and Spa. Her keen interest in the field of Beauty and Wellness made her start her career in Aromatherapy from her beauty clinic ‘Priyadarshini’ way 14 years back. In her voyage, through these years she has successfully cured many problems by her indigenous research in Aromatherapy. 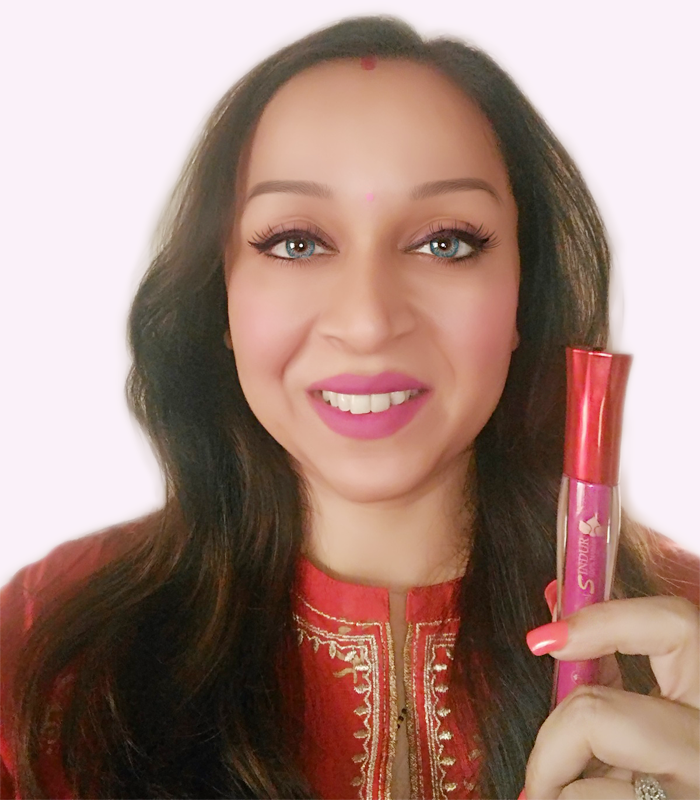 After years of extensive research, she came out with her remedies and formulas and started her company, Keya Seth Aromatherapy back in 2004 with a range of products in the field of Skin, Hair and treatment products. This Liquid Sindoor lasts all day. It looks even beautiful if you planning to go for a outfit in the shades of red or pink. If you planning to become a pink bride on your wedding then this is must buy for you!! The colour is very soothing and adds a lot of glamour! Beautiful Ayurvedic Sindoor, This is one the best and most unique products that I purchased in 2017. A must bride for any would be bride or newly wed!! To place an order please visit Keya Seth Aromatherapy they would ship it out to you from kolkata in a weeks time. i can see why you are worshiped by many, you truly look divine.